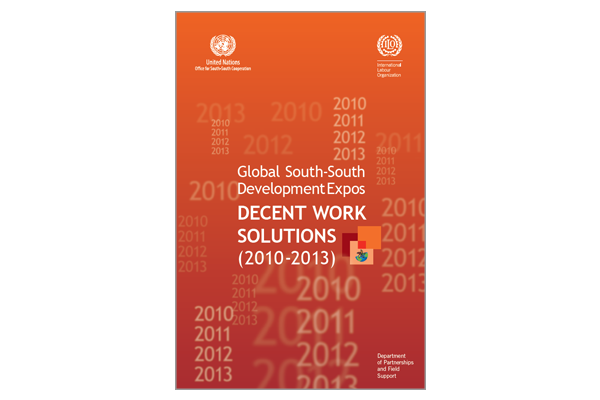 This publication reviews the GSSDs held since 2010 and the decent work solution forums organized during them by the ILO. The GSSD Expos are a United Nations system-wide global event which contribute immensely to dialogue on South-South Cooperation. The International Labour Organization (ILO) has been an active participant in the GSSDs, and hosted the GSSD at its Geneva headquarters in 2010. During the Expos, several agreements and memoranda of understanding were signed and good practices guides have been launched, in order to promote South-South Cooperation in many different fields.